As skincare has evolved over the years we've seen many types of cleansers come out. Regular foams, sticks, bars, gels, oils, balms, and so on. And then there's the powder cleanser. 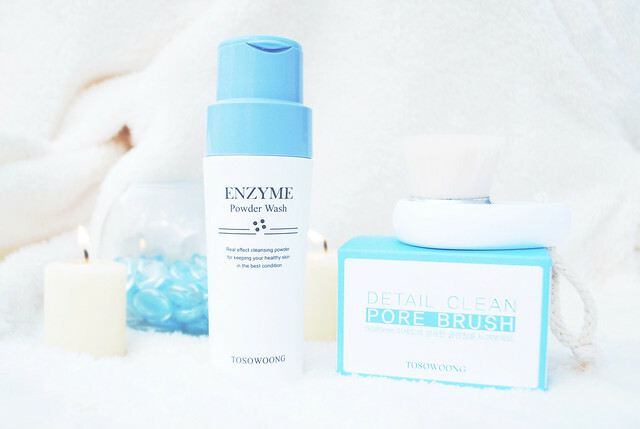 Today's review is on the Tosowoong Enzyme Powder Wash and Detail Clean Pore Brush. You're probably thinking "What? A powder?!" and I don't blame you, that's exactly what I thought when I first heard about powder cleansers. I didn't really believe that a powder could possibly cleanse your face. Thinking about it now though I suddenly realized that laundry detergents also come in a powder form, and they cleanse your clothes, so why not a powder wash for your skin? Anyways, let's get started with the review! I'll go over the cleanser first, and then the brush, and then talk about how those two work together. It's interesting how far Korean beauty has gotten. I remember back when I first started blogging, there were about 6-7 Korean beauty shops. 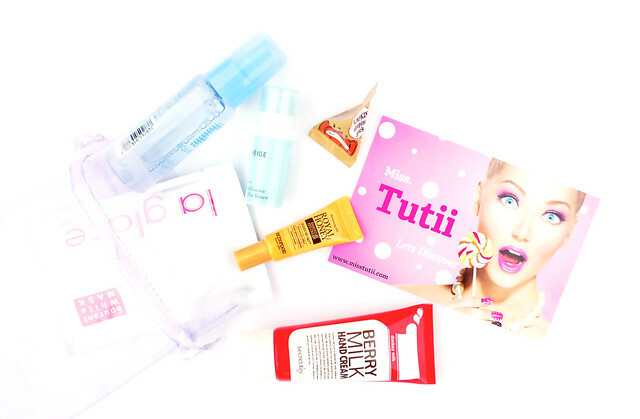 Two years later, there are now at least 10 shops, and a number of Asian beauty monthly subscription services you can pick from. Back then there were none. Kind of amazing how much has changed in just a little over two years isn't it? I hope 2016 started off on a good day for you. I went on a cross-country road trip with my dad during winter break, and now that I've been back a week and school has started (sadly) it's time to get back to work. What I would give for break to last for a whole month... haha. Today's review is on a relatively new product from Benton, the Honest TT Mist. 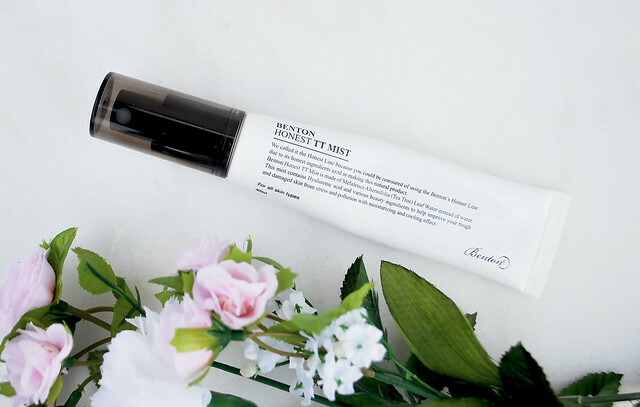 This product is part of Benton's Honest skincare line, which so far consists of only a cleansing foam and this mist. According to Benton, products in their Honest line use honest, natural ingredients. The name is a bit strange (I mean, they can't really lie about the ingredients...) but if it works then hey who cares, right? So without further ado, let's get started with the review!